UNIABUJA Post UTME/DE Registration Form 2019/2020 – Cut off Mark and Registration Guide. 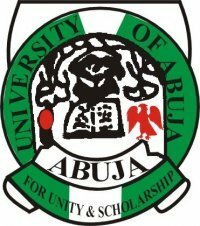 The management of the University of Abuja (UNIABUJA) invites suitably qualified candidates to its 2019/2020 academic session post UTME and Direct Entry screening exercise. Participated in the 2019 Universities Tertiary Matriculation Examination (UTME) or applied through Direct Entry (DE) mode. The candidate must have chosen University of Abuja as first choice in the 2019 UTME. Eligible candidates are required to pay a processing fee of N2,000.00 (Two thousand Naira only), through Remita Platform via the University of Abuja 2019 Post-UTME Screening Portal. Visit the University of Abuja 2019 Post-UTME Screening Portal at www.uniabujautme.com/putme and create your profile.